* 13 mm dia heavy duty mini vane with telescope probe, for high temp. air velocity measurement. * Separate probe, easy for operation. 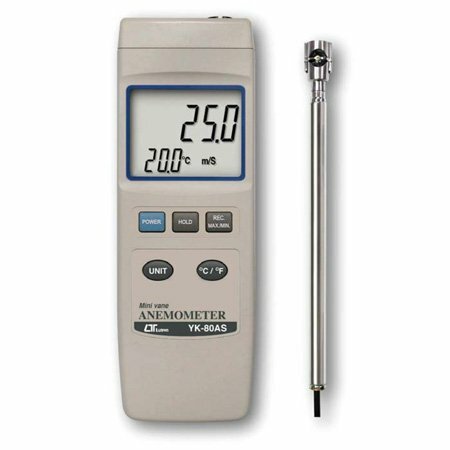 * Air velocity measurement : m/s, km/h, ft/min, knots. mile/h. * Temp display unit : ℃,℉. * Large LCD, show both of air velocity & the temperature value. * Auto power shut off . * Wide applications : Check air conditioning & heating systems, measure air velocities, wind speeds, temperature...etc.